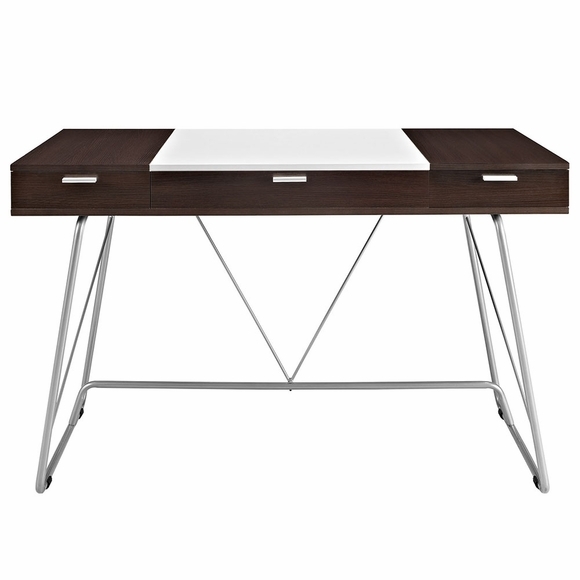 Witness the continual infusion of dual-toned elements with the Panel desk. 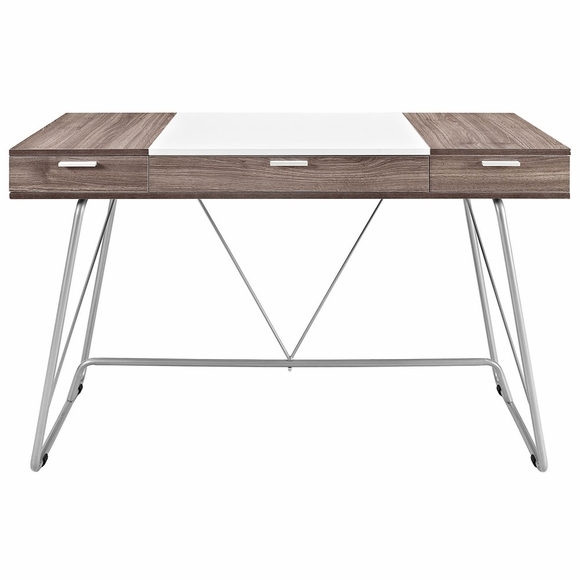 Made from Melamine covered fiberboard, Panel artfully flanks a solid white center with natural wood-grain toned ends. 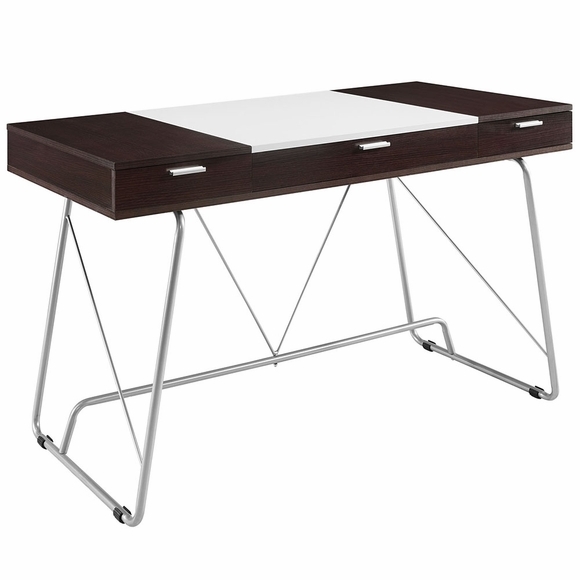 There are three easy pull-out storage drawers across the length of Panel that make sure all your pads, pens, and other supplies are close at hand. 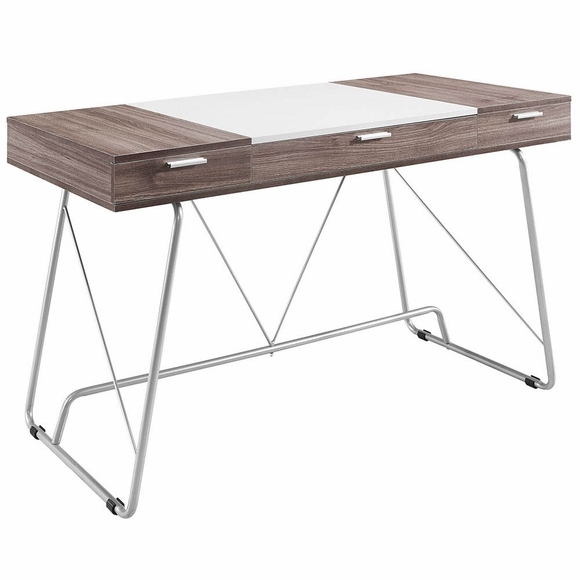 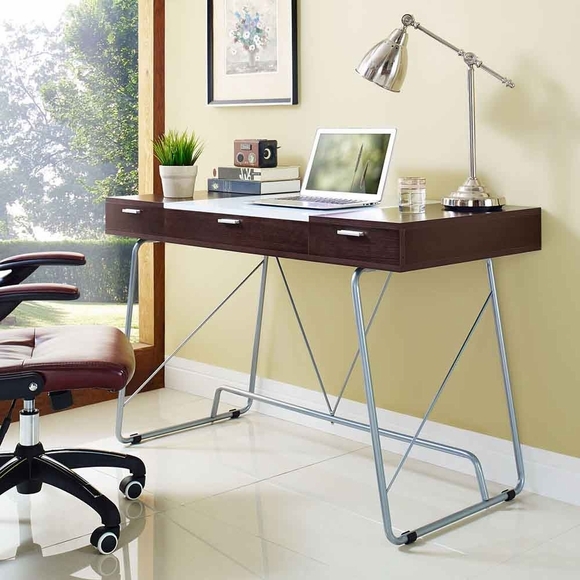 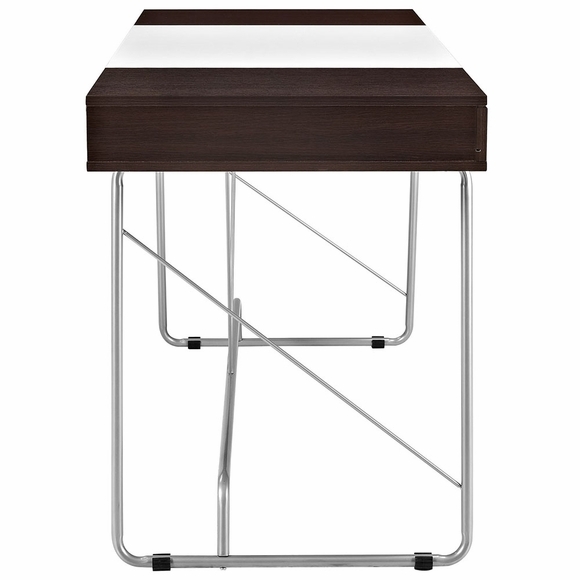 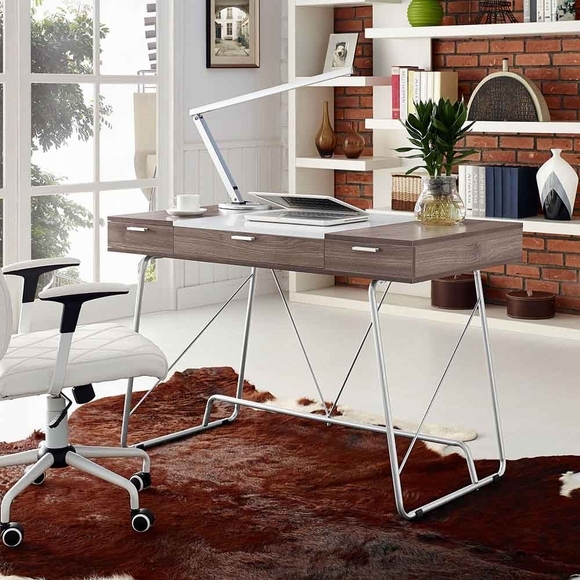 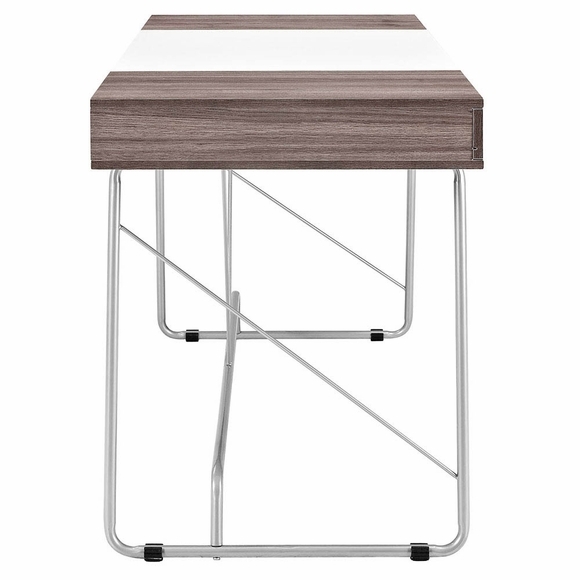 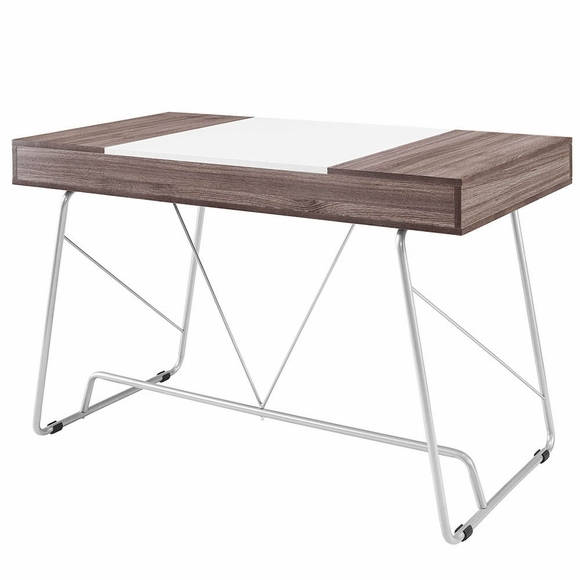 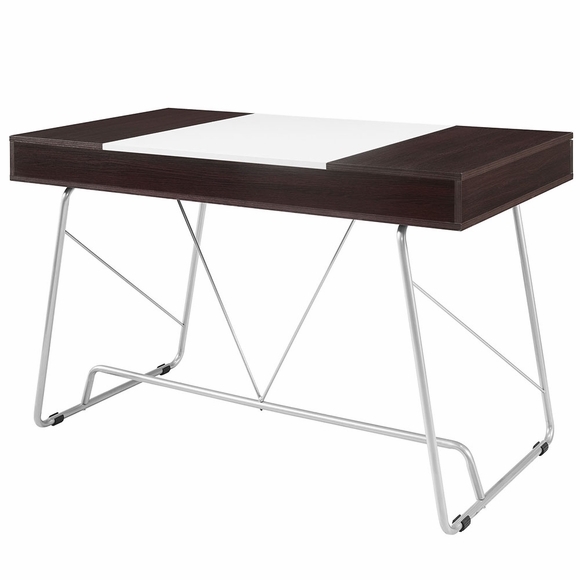 The metal tube base adds a pleasant finish to this contemporary piece perfect for work or home.